Its most difference from common ball valve is that its maintenance can be made on pipe line and without dismounting from the pipe line.The back space seat structure is adopted for the seat and the rear portion of seat retainer is oblique angle to prevent accumulation of impurity from affecting back space of seat. 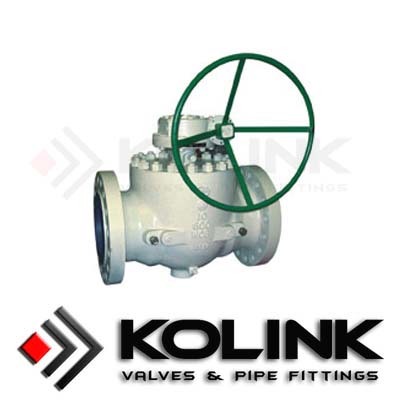 1.Top entry ball Valves are designed with double slopping surfaces. Functioned by the springs, they automatically adjust the tightness among the valve seats, valve body and ball body to make all of them have excellent tightness under the medium and low pressure. 2.The tightness between the stems, and the contact of the valve cover uses compact among the parking surface stem and cover shoulder surface to reduce the opening moments. 3.Top Entry Ball Valve are of integral top loading types, so its unnecessary to disassemble them from the pipes. Just remove the cover, you can repair them and change the spare parts to make the maintenance more easy. 4.Besides, we can produce the valves according to the customers' requirements. When selecting ball valves, utilization of a Top Entry Ball Valve design, will permit easy access to internal components for service and parts replacement, without having to remove the ball valve from the line. The ability to make quick repairs is especially important at start-up time when valve damage from fabrication debris is most likely to cause expensive down time and project delays.